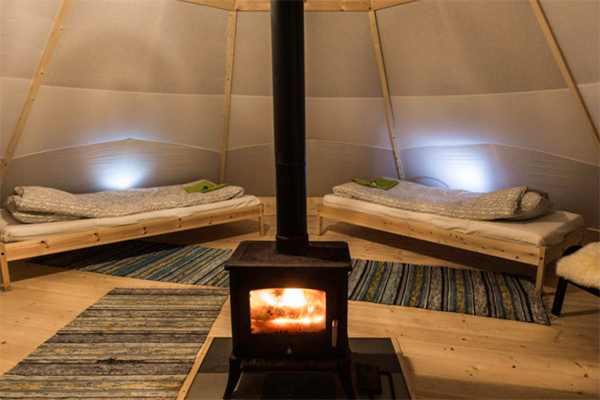 Perfect your downward dog, restore your wellbeing and connect with the surroundings in Arctic Sweden. 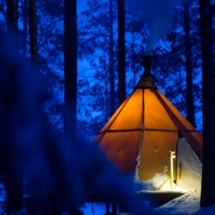 Located deep within the Arctic Circle near Jokkmokk this snow and ice yoga retreat takes place at the Aurora Safari Camp - a pop-up camp consisting of traditional Sami tent tipis, and located in the wilderness on a frozen lake. The retreat offers guests daily yoga classes of Virya Yoga – a Nordic method which focuses on biomechanics and strengthening exercises. You’ll enjoy relaxing meditation through a range of personalised classes that can be tailored to suit all abilities and goals. Classes take place on the ice-covered river, on the snow and in the lavvu. 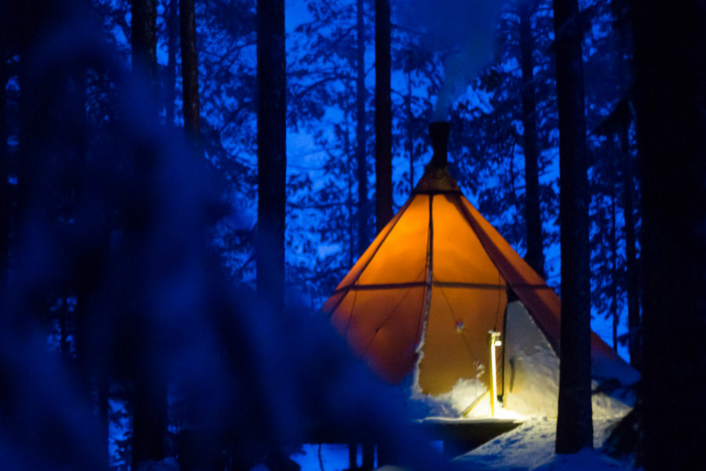 The incredible winter wonderland scenery and Arctic silence combined with the guided meditation classes and periods of reflection during the retreat will take guests on a journey of inner self discovery. Arrival to Lulea Airport and transfer to the camp. The final part of the journey will be by snow mobile sled where you will find the wilderness camp. 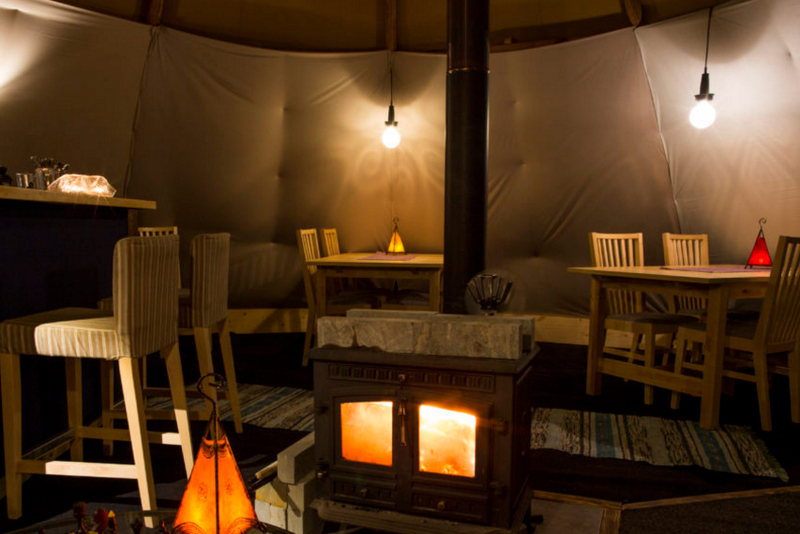 A hot drink will await whilst you settle into the camp and meet your fellow yogis. 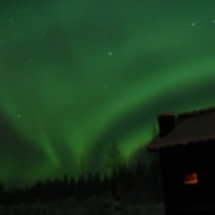 Dinner will be served at the camp consisting of locally sourced produce and the chance to star gaze and look for any early signs of the Aurora Borealis (Northern Lights). 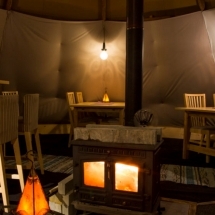 You'll stay overnight at the Aurora Safari Camp in spacious shared firewood heated lavvus which feature lots of home comforts including a wood-burning stove. 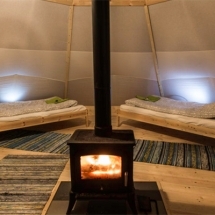 The ice camp also has a wood-fired sauna and icy plunge pool ideal for getting the heart pumping and the blood circulating as well as relaxing muscles. Your day begins at 7:30am when your host will start the morning yoga session outside followed by a leisurely breakfast and time to explore. The wilderness location makes it perfect for spotting the local wildlife including moose, red fox, reindeer and several species of birds. After lunch you'll enjoy a creative ice sculpting session using blocks of ice and professional tools. This will be followed by an early evening walk in silence when you can immerse yourself into the winter silence of the Arctic. 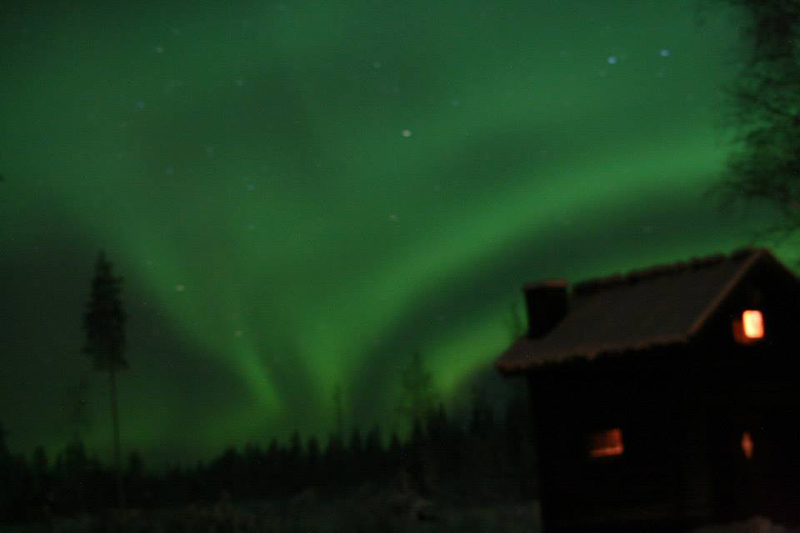 A sauna will warm you up and provide a chance to gaze at the night sky to see if the Northern Lights will appear that night. Dinner will be served at the camp. 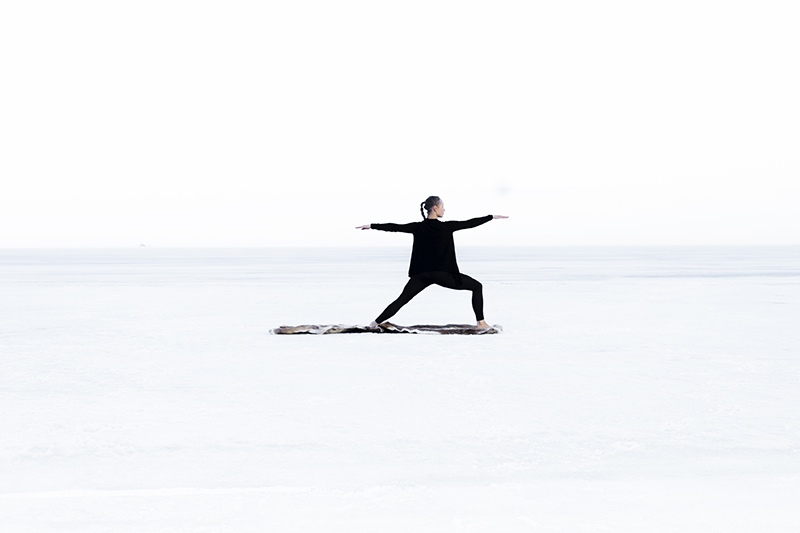 Today will be an earlier start with a meditation in motion session on the ice-covered lake. Breath in the cool, clean air and feel refreshed body and mind. 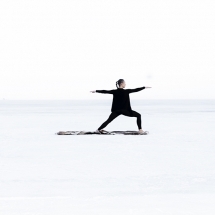 Today will be an earlier start with a meditation in motion session on the ice-covered lake. Breath in the cool, clean air and feel refreshed body and mind. After breakfast you'll take a walk to Sörbyn Lodge where you will stay the final night. A silent lunch will be followed by free time for activities or relaxation. A traditional Swedish coffee break 'Fika' will be served in the afternoon. You’ll have the chance to try a homemade tea made from Chaga (sprängticka) which grows on tree birch and is full of antioxidant. Dinner will be served before a magical evening of yoga on ice in the dark. 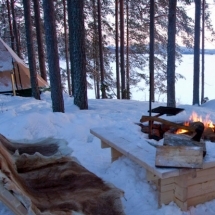 Deep in the boreal forest of Swedish Lapland, you’ll find a traditional Scandinavian Lodge by the frozen lake Vitträsket. 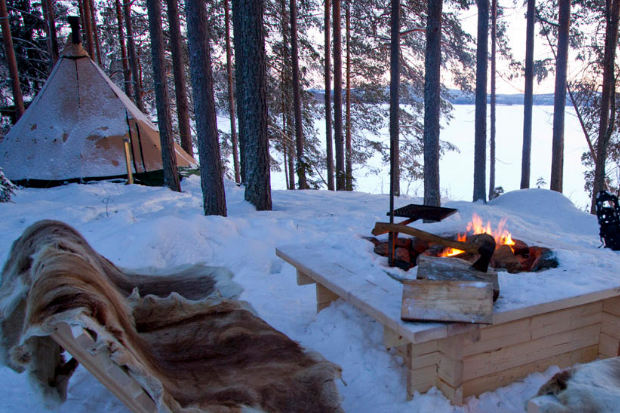 Located next to the shore of the lake, guests can enjoy undisturbed views over the lake where reindeer often wander across the snow-covered ice. The restaurant of the lodge serves delicious locally sourced full board meals prepared by the in-house chef. On the menu you can find local delicacies such as arctic char, reindeer or cloudberries. In the restaurant building guests can relax in the lounge area where one can enjoy sitting by the fireplace after a day of winter activities. The Sorbyn Lodge offers lake shore hotel / cabin accommodation. Standard rooms (double/single) come with TV and private bathroom. Rooms are furnished stylishly according to Scandinavian themes and seasons. The newly renovated 4-bed cabins come with two twin bedrooms, a kitchenette and a private bathroom. Today it is time to bid farewell to Arctic Sweden and after a final morning yoga session, return to the airport. If you wish to extend your holiday in Sweden, the team can include extra nights, perhaps at the Treehotel or at Brandon Lodge.